1. The principle, advantages and disadvantages of single-cell genome amplification. Invented by the Laskin et al. in 2001. Reacted using random six polymer primers and φ29 DNA polymerase, which had strong chain replacement properties and could amplify the DNA fragment of 50~100kb under isothermal conditions. At the same time, because of its 3 ‘-5’ exonuclease activity and proofreading activity, the φ29 DNA polymerase has high fidelity. The MDA method has a higher genome coverage. The Quasilinear amplification process reduces the sequence preference of exponential amplification. The 5 ‘of amplified primers containing the common sequence of 27bp and 3’ is a random sequence of 8bp, which can be combined with the template at low temperature at 15~20 C, and then amplify these ring-shaped amplicons after the quasilinear amplification of 8~12 cycles. The advantage of MALBAC method is that sequence preference is repeatable between different cells. Because of its better homogeneity of amplification, its data is more suitable for CNV analysis. The weakness of MALBAC is that the fidelity of polymerase it used is not as good as φ29 DNA polymerase, so MALBAC will have more false positives when detecting SNV; in addition, because of its repeatability sequence preference, the region of low amplification in the genome is sometimes lost in the process of amplification. 2. Sampling requirements for single-cell sequencing. MDA amplification: the sample volume can not exceed 2 μL. The PCR tube that company supply contains 2 μL PBS. MALBAC amplification: the sample volume can not exceed 1 μL. Ensure that samples are free of Ca2+, Mg2+, the company provides a tube containing 4 μL lysate. Samples should be separated independently as far as possible, avoiding cell adhesion and cell fragments, affecting the quality of amplification. Membranous nephropathy (MN), characterized by the presence of diffuse thickening of the glomerular basement membrane and subepithelial in situ immune complex disposition, is the most common cause of idiopathic nephrotic syndrome in adults, with an incidence of 5-10 per million per year. A number of studies have confirmed the relevance of several experimental insights to the pathogenesis of human MN, but the specific biomarkers of MN have not been fully elucidated. 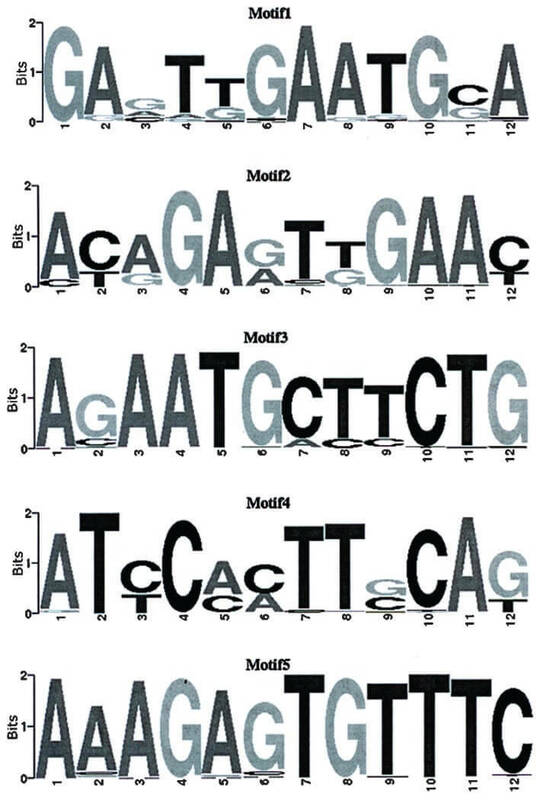 In this study, the authors used chromatin immunoprecipitation followed by high-throughput sequencing (ChIP-seq) to analyze the variations in a methylated histone (H3K9me3) in peripheral blood mononuclear cells from 10 MN patients and 10 healthy subjects. There were 108 genes with significantly different expression in the MN patients compared with the normal controls. In MN patients, significantly increased activity was seen in 75 H3K9me3 genes, and decreased activity was seen in 33, compared with healthy subjects. Five positive genes, DiGeorge syndrome critical region gene 6 (DGCR6), sorting nexin 16 (SNX16), contactin 4 (CNTN4), baculoviral IAP repeat containing 3 (BIRC3), and baculoviral IAP repeat containing 2 (BIRC2), were selected and quantified. There were alterations of H3K9me3 in MN patients. Table.1 ChIP-seq and alignment results. Aligned reads: the number of reads refers to the reference genome; Aligned reads only: the number of reads only refers to the reference genome; % Aligned: aligned reads/total reads; % Only: aligned reads only/total reads. Figure 1. ChIP-seq peak distribution (distance) of H3K9me3 from membranous nephropathy patients. Figure 2. 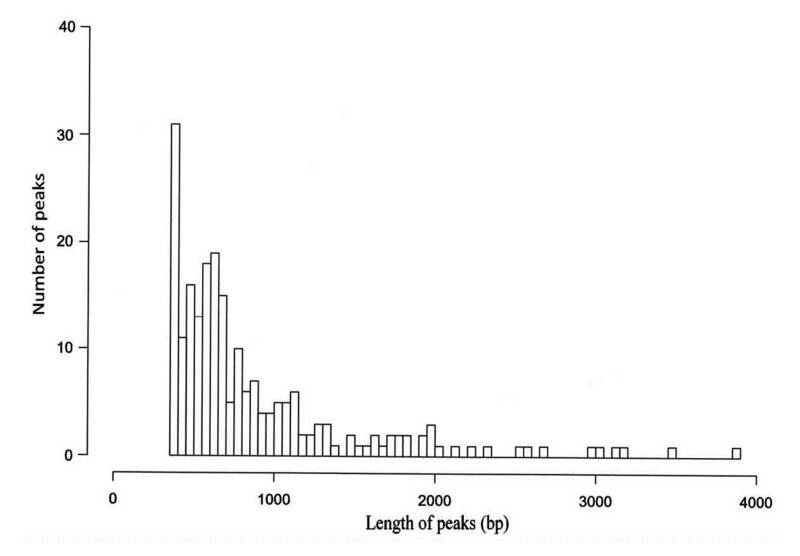 Genome-wide distribution of peaks relative to annotated genes. Figure 3. Distribution of peaks relative genes by Gene Ontology (GO) analysis (AmiGO 1.8). The lateral axis represents the GO terminology. The left vertical axis represents the proportion of the related genes. The right vertical axis represents the number of the related genes. Table 2. Basic information of motif of H3K9me3 from patients with membranous nephropathy. S: C+G; R: A+G; K: T+G; Y: C+T; M: A+C; V: A+C+G. Figure 4. ChIP-seq motif logo. The lateral axis indicates locus of motif. The total height of the vertical axis reflects the conservation of the motif. The height of each base represents probability of the base. Table 3. Selected genes with H3K9me3 alterations between patients with membranous nephropathy and healthy controls identified by ChIP-seq. In summary, the authors think these results may be candidates to help explain pathogenesis in MN patients. Such novel findings show that H3K9me3 may be a potential biomarker or promising target for epigenetic-based MN therapies. Reference Sui W G, et al. ChIP-seq analysis of histone H3K9 trimethylation inperipheral blood mononuclear cells of membranous nephropathy patients. Brazilian journal of medical and biological research , 2014, 47(1):42-9.